Dunkin’ Donuts, the leading coffee & baked goods chain in the Middle East, has been brewing high quality coffee for over fifty years. All of Dunkin’ Donuts coffee must meet with their strict quality of specifications. Learn about the rigorous process each coffee bean must go through to make its way into a Dunkin’ Donuts cup. Dunkin’ Donuts works with coffee farmers in Central and South America, to grow only the finest coffee, 100% Arabica coffee beans. Strong relationships educated suppliers ensure consistently, high quality coffee. Coffee beans are not really beans at all! They are actually the seeds of coffee cherries that grow on trees over 50 countries. Each coffee tree only yields enough cherries for about one pound roasted coffee per year. Blending beans of different origins, enhances the complexity at the flavor of the coffee. Dunkin’ Donuts beans are blended according to Dunkin’ Donuts proprietary recipe. The same recipe the company used when it was found in 1950. Roasting transforms green coffee beans into the familiar rich, mocha coloured beans. During this process, the beans undergo both chemical physical changes and evolve from green to yellow to brown as they are evenly roasted by forced hot air. Dunkin’ Donuts conducts a full sensory evaluation of the roasted beans. To do this Dunkin’ Donuts coffee experts taste an average of 200 cups of coffee each day to ensure the coffee consistently meet their high quality standards. After being selected to meet Dunkin’ Donuts quality standards, the fate of Dunkin’ Donuts coffee bean is not left to chance. At the shops, every detail is carefully orchestrated, including the temperature and amount of water used, the timing and level of bean grinding, and the length of time the coffee is brewed. There are literally hundreds of steps n the coffee process. 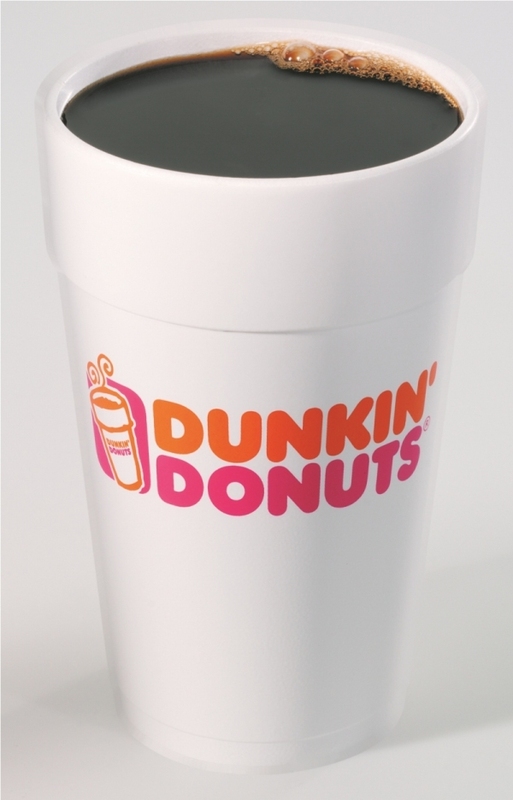 If at any one stop along the journey from tree to cup, the bean doesn’t meet Dunkin’ Donuts tough standards, it won’t make it into a Dunkin’ cup. Dunkin’ Donuts never takes a smooth delicious, consistent cup of coffee for granted so that its customer can.